Kantar Worldpanel’s latest figures to 12 weeks ending 19th May 2017 showed a slight recovery in the sales growth rate of China’s FMCG market, up 2.2% compared with the same period last year, driven more by key cities and the provincial capitals. 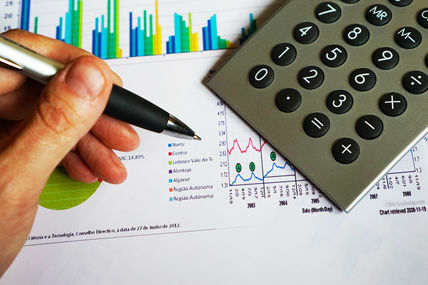 As more modern trade retailers actively transformed their business models to bridge online purchases and offline experience, the channel as a whole enjoyed a growth rate of 2.7% in the latest 12 weeks. May is a light month for ecommerce as all retailers were gearing up for the mid-year online shopping festivals. Yonghui saw its share rise to 3.1% in the latest 12 weeks thanks to the OAO + store expansion strategy. Apart from Yonghui’s supermarket, Bravo, it also stepped into 24hours convenience store – “YH life” (an upgraded version from the previous membership store) which aims at providing a convenience service to consumers anytime of the day. The Yonghui Super Species (a new store model combining shopping through APP and in-store shopping and dining experience), which now has 5 stores in total, is set to roll out more this year across affluent cities. Ecommerce’s growth remained at a high level with online penetration reaching 33.6% in the latest 12weeks ending 19th May 2017. T-mall led the growth of ecommerce achieving a penetration of 7.3%. 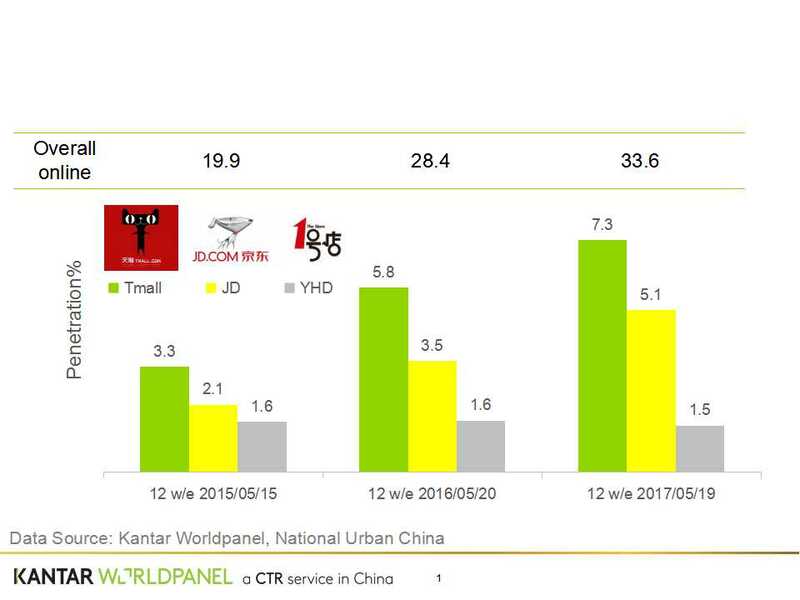 JD followed, penetration reach 5.1%, narrowing the gap with Tmall from 2.3pt to 2.2pt.